Plate molybdenum electrode has high density (10.1g/cm2) and high-strength, so it can withstand erosion and corrosion of high-temperature molten glass. There are some commonly used electric heating elements materials which are: silicon carbide, tin oxide, graphite, molybdenum electrode and platinum. And because of molybdenum electrodes have high melting point (2620±10℃) and at high temperatures with excellent electrical properties, low coefficient of thermal expansion. 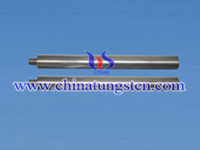 Besides it under reduction state condition is very, so widely used in electric heating element. But it is easily oxidized at high temperatures. On the other hand sintering molybdenum is brittle which is difficult to cold shortcomings. These shortcomings are needed to pay attention in order to better optimize their effectiveness. (1) High thermal efficiency which can up to 90%, because the power generated by the electric heating element inside of glass can transform to heat energy, less heat loss. (2) Easy to control, simple operation and easy maintenance. (3) Heating uniform, high quality molten glass producing which can reduce evaporation of the volatile components to eliminate pollution. 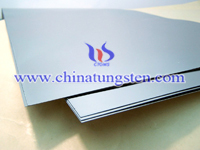 The service life influence factors of plate molybdenum electrode. Plate electrode of forehearth service life is mainly depends on the current density of the electrode, flow rate and viscosity of the molten glass, glass chemical composition. The greater the current density and the flow rate of the molten glass, and the sticky is smaller, the shorter electrode life. 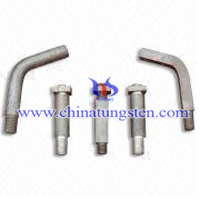 In order to make the electrodes have a long life must be strict at some chemical components provisions: As2O3<0.1%, Sb2O3 <0.4%, Fe2O3 <1.5%, CuO <0.5%, Cr2O3, MnO, F<1%. (1) Plate-shaped electrode surface current density is too large. (2) Chemical components beyond the above provisions.